Horace Alexander Young, a jazz musician and educator, is a native of Houston, Texas. He started taking music lessons at the age of eight, initially on the piano but he subsequently took up the flute, saxophone and clarinet. Young is an adept musician with various skills, including as a keyboardist, arranger, musical director, percussionist, producer, songwriter, woodwind instrumentalist, vocalist, author, and music journalist. 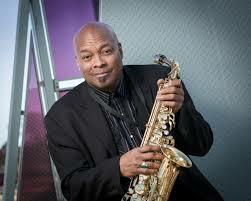 He previously taught woodwinds and flute at Texas Southern University. Young served as the Chair of the Contemporary Music Program at Santa Fe University of Art and Design (SFUAD) until the program closed. In addition to his time spent at Texas Southern, Young has also taught on the faculty of Washington State University, Rutgers University, California State University at Sonoma (Sonoma State), the High School for the Performing and Visual Arts in Houston, and The Shepard School of Music at Rice University.